And I like very much the format and the "winners' circle" focus: it ratchets up the competitive edge. Clever and daunting at the same time. So, I will send you something well ahead of the deadline. By the way, my wife and I are back in Croatia for another year missionarying -- it is so very cool to be here. In fact, we were in a government office today sorting out the payment system for our modest national health insurance coverage (they so do it right and fair and equitably here) and our monthly, again modest, contribution for our future pensions. Anyway, when we mentioned we were missionaries, the kind and friendly and courteous clerk said, "Oh, are you LDS [mormons!]?" To which we gently replied, "No, we're Protestants -- of the Nazarene denomination." Not a bit flustered, he quickly and amiably replied, "Oh -- I like those too so much!" This country is so cool. That's it from Zagreb. More later perhaps, sometime -- but especially another piece of creative non-fiction. I continue to write more and more now that I'm not in the classroom anymore and not saddled with boxes of student writing to read -- and I'm sending more and more stuff out that's starting to see the light of day. A particular creative non-fiction piece that found its way to that light appeared in the 'American Writers Review -- Summer 2018,' "A 2nd-generation Polish-American am I" -- unfortunately, it appears only off-line, in hard copy. But I'm not picky. However, one of a few of my Marian poems that's also seen the light of day appeared in 'the Christian Century' -- for their Christmas issue, hard copy and on-line, and if you've a mind to track it down simply click on -- www.christiancentury.org/article/poetry/kneeling-manger -- then you'll have a chance to look at what some of my poetry looks like. (They're also going to include a couple more of my Marian poems in their Easter Holy Week issue.) Sorry to go on and on. Next time, perhaps, it'll be a piece to be considered with the other 28 writers' pieces. I've known Ondi since she was a student at Yale. Hope you like the article. Kirby Wright's Sweet Sixteen, first published by Storyhouse.org, is now the opening chapter of THE QUEEN OF MOLOKAI. This is a work of creative nonfiction based on the life and times of his part-Hawaiian grandmother. It tracks Julia Wright's wild teen years in Roaring Twenties Waikiki and follows her over to Moloka'i, where she pursues love and marriage with a cowboy at Moloka'i Ranch. Wright's work has been compared to Pat Conroy (THE PRINCE OF TIDES) for family struggles and to Frank McCourt (ANGELA'S ASHES) for women overcoming great hardship. His book is available in both hard copy and Kindle format. Thanks so much for posting my story, The Speech Contest, and also finding a great photo to go with it. It looks great! I'm pretty excited and very encouraged. I have been exploring your website and noticed a friend of mine, Karen Treanor, who has won several contests with you. She was a Peace Corps volunteer in Swaziland in 70-73 when my husband and I were also volunteering there. She lives in Tasmania now. I will contact her soon through your site. I am currently writing about our years living in Sudan when my husband worked for UNICEF. I hope to enter it in your 2019 contest under travel. Thanks again for what you do. It is such an encouragement to keep writing. My wife and I now live Zagreb, Croatia, have been here since March 3rd and have a contract for two years (although we've already been encouraged to extend a year -- or more, if we'd like to) as missionaries for a small Nazarene Church. We're basically missionary minions -- doing what needs to be done -- and with some regularity I teach English -- in written and conversational forms. The church we're connected to (headed up by two former students of ours when we taught back East in Boston -- they're husband and wife, with a couple of kids) ministers mostly to asylees, immigrants, refugees, the Roma communities, and of course to a scattering of Croatians. Where we taught in San Diego, at PLNU, offered us a very attractive 2-year buyout to retire a little early so they could re-cycle our high end senior faculty salaries and hire 4 junior faculty with the savings. So, we took it, and here we are. As for writing, I'm still cranking out daily the poetry (and an occasional prose/nonfiction/memoir type piece -- I've had 3 pieces published since being here) and in the last couple months have started to modestly carpet bomb literary agents to see if anyone's interested in my "A Senior Year to Forget" manuscript, which you of course have been so gracious to publish several pieces of AND award two of them. About half or so of the manuscript has seen the light of day at your site (THANK YOU SO VERY MUCH!!!) and a few others on- and off-line. A few folks have suggested I "blog" it or "kindle" it -- but I'm too too traditional and am still holding out for doing it the "olde way." Time'll tell. In the meantime, I am, Richard, ever so grateful and appreciative of your over-the-top encouragement by being so kind to so many pieces of my creative nonfiction memoir. I have not forgotten -- nor will forget. Believe me. Okay, also this: a manuscript of my Marian poetry -- "The Gospel According to Mary" -- was a finalist for a poetry contest this summer (in the top 7 but not the top 3 [not the winner and neither of the honorable mentions]), so I keep plugging away writing much more every day than I send out . . . so, it's a good gig and a good life. Finally, I commend you Richard for the niche you have found and for all you do to help and encourage so many folks just like me. She is posting every day and hopes you will all check it out. I’m delighted to announce that my novel inspired by a true story, Luck is Just the Beginning, was selected as the Book of the Month this August for the National Latino Book Club! I am honored to be interviewed in their teleconference this Monday, August 22. The interview will go live beginning at 5 PM Pacific Time and is open to anyone in addition to the 20,000 Las Comadres members. After the show, it will be available as a podcast to listen to at your convenience. I have enjoyed their excellent programs in the past and look forward to being their guest! Luck is Just the Beginning earned a Mariposa Award for Best First Book in the 2016 International Latino Book Awards. Visit my website www.celesteleon.com to see reviews or read the latest review in Midwest Book Review http://www.midwestbookreview.com/rbw/aug_16.htm and thanks for your support! J. R. Nakken (Judith to her intimates) was raised on the South Dakota Prairie in the 1940’s and ‘50’s. Her new book, Confessions of a Martian Scoolgirl, is now available at Amazon. Click here to buy a copy! Judith lives on Tulalip with her soul mate, Dale, and an assortment of eccentric felines. Sand Fly is a thriller Janis has recently had published. It's now on sale at Amazon. All the reviews are excellent. Help support our fellow writers. Click here and check it out! Carl has recently published a book of Marian poetry, Behold The Lamb. It is available now. You published a true story I wrote about my father, “A Lucky Man" in 2006. I've expanded it into a novel and, I must say after so many years, the novel is better! The book will be released in October and I hope many Storyhouse readers who liked that story might want tor purchase the book. Floricanto press is a small press that does little promotion for debut novelists, so I’ll be doing most, or almost all, of the promotion myself. Here's hoping for the best. I'm excited and optomistic. This has been a huge endeavor for me! I also have a book that I wrote. It is called Coconuggets 10-Secrets to Success in a Coconut Shell. It's a fun and easy read that is a motivational cuteparable that creatively reveals some of the basic principles of success. .
life path. And older adults love it. They like the shot in the arm and the motivation that it gives them to dust off a long forgotten dream and go for it while they still can. It is available at Amazon.com. Re awards, I was shortlisted for the Finch Memoir Prize last year, and it was on your website that a chapter of the book , “The Magic Stove” appeared many years ago. My husband and I and our two cats have upped stakes and moved across the country from the largest richest driest state, Western Australia, to the smallest, poorest greenest state, Tasmania. I am sure there will be many stories arising from our experiences. It’s been a roller-coaster ride for me since Farm and Ranch Living published one of my stories in their Magazine in 2012. Through your steady encouragement, I have now placed 28 stories on-line in the Preservation Foundation sponsored archives. “Just right for a book,” you said. Well, you were right. I’m happy to announce to all of your Authors, that as of 21 November 2014, my new book entitled: OUT OF KALAMAZOO COUNTY, is listed at Amazon.com/Books as a Memoir. I’m very happy with the way the book looks and feels and let me say that the Amazon path is “right-on” as a sure method of publishing to a wide audience. It’s featured nicely with a quality display and looks inviting to the occasional reader. What started out as a project to print a few self-printed copies for good friends and relatives, has burgeoned into a commercial venture that should bring the highest overall accolades for the finished book (much more than for the sum of the separate parts [Chapters]). I started out as a budding Writer playing “sandlot baseball” and here you have me already up in the Amazon “Big Leagues” as a real Author. Words can’t really describe how thankful I am for your endless “nudging” me in the right direction. All without a hard-sell. You and your Preservation Foundation fulfill a really useful spot in our society and I’m proud to have my name associated with both of you. I just received a Fed-X that I have won the Grand Prize in the Reader's Digest/Reminisce Magazine's memoir contest with my Confessions of a Martian Schoolgirl. I owe you and the Preservation Foundation so much .... for the opportunity to submit and see myself in print and long for more and better and all that goes with trying to perfect the craft. Thanks for doing what you do. As promised, a little something for the Storyhouse website. A success story of sorts and a thank you. Pretty feeble after all these years, but heartfelt. My book A Field Guide to Happiness was published recently by Hay House. The happy moments of publishing are short lived: the day you get the agent of your dreams, the day your book sells, the day you see an actual printed copy of the book. The rest is just slogging and never giving up. Nobody understands this like Richard Loller. I don't know why this is true, it just is. He was my first employer out of college, a book editor, and I was one of the many copywriters who wrote ads and book jackets for him. He was tough (too tough, he now believes, but I don't think so), and he made me into a much better, more thoughtful writer in a very short time. He told me if I wanted to be a writer I'd have to grow a hard shell like a turtle. It's the best advice I ever got. Now battered and worn, my shell has served me well. After the publishing house I went on to get an MFA in fiction. I worked as a freelance writer for a few years, then I moved to Bhutan in the Himalayas. In 2001 in Bhutan I got a message from him. He wanted me to submit something to his wonderful Storyhouse website. I said I would. I didn't. He asked me again. And again. He bothered me until I did it. And then he asked me to submit something else. By then I'd decided I could use this stuff in a book. Any writer who has Richard or someone like him in his life is blessed beyond words. My gratitude to this man and his energy and wisdom is boundless. He's the best friend a writer ever had. I don't know how I got to be so lucky. He absolutely helped made it possible for me to write a book and get it published. He even let me use his name and address on an SASE to get letters from prospective agents, since postage and logistics were a problem in Bhutan. Richard, thank you for never giving up on me and all of the writers at Storyhouse. You're the best. It is some time since you encouraged my authorship by posting a few of my first stories (E. M. Schmoll). However, as Edie Schmoll, I now have four self-published books on Amazon, and have won the National Poetry Award from American Mensa in 2008. My fifth book, a collection of "Music Songs" for piano and vocal, is under way; and my first CD ("Serenade"--a collection of classical piano solos) will be released later this month. I have also been a visual artist for four years (http://edie-schmoll.artistwebsites.com). My music videos are on YouTube and also http://www.trinityhemet.org - Edie's Page. So this is to let you know that your help to struggling writers DOES sometimes have real meaning, and I want to say "thank you" again. Things are going well for me. I spent the past year (August - August) helping a friend write a book that had been stuck in his "craw" for decades. He wasn't getting anywhere with it, and as he said "I'm not getting any younger." I did most of the research, helped with the writing, and edited it. It's at the printer now, and my friend plans to hand it out at Christmas to everyone he knows. It was a labor of love! Now that I'm finished with that project, I am writing for myself -- putting together a series of short profiles about interesting and inspiring people, like the one I sent you. I have nearly enough to compile them into a book, which I hope to put together early next year. It's been in my "craw" for awhile, and it feels great to be working on it. Please let me know if I can do anything for you. I enjoy reading the pieces on your website and they inspire me to keep at it. Yipee! I'm a finalist in the New Mexico True Stories Contest. I'm pretty stunned about this, but there it is. My story can be read on their site. Click here. You can also vote for me. Please do. I am also getting emails now from people who've lost their loves from Lewy Body Dementia. They had read the story I wrote that won your nonfiction contest last year. (Read The Steam, Isabel's story about dealing with the death of her husband. I've been interviewed about my book, Stumbling Into Grace, A Prodigal Daughter's Long Journey Home, on Christian Television Network on a show called Homekeepers. I'm so excited about having the opportunity to get the word out not only about my book, but to reach out to those who have currently turned away from God and to their families. Richard Bishop, who is a retired military officer living in Munich, Germany, recently had You Don't Know About Lonely, a short story we posted here not long ago, published in Farm and Ranch Living Magazine. This marks the first paid submission for Richard and he is justly proud and determined that more shall follow. Keep on working at it, Richard, and that is sure to be true. Click here to read his story now. This is Kay Harper, formerly Kay Harper Sons. Don't know if you know it, but I published my first book, and the train story is in it! It's called Stumbling Into Grace, A Prodigal Daughter's Long Journey Home. (Amazon.com, Barnes & Noble.com). Thanks again for the encouragement I received from you back in 2008 for "When I Went to the Moon with a Wink and a Prayer." My book MARRIED to BHUTAN will be published April 1, 2011 by Hay House. It's been a long road, and it will be longer still. I'm already working on the next book even as I arm myself for the promotion gauntlet near to the release date. If you write and are half way serious about publishing, especially now when everything about it is, well, pretty wacky, you have to keep reminding yourself why you are doing it. Why you're stealing moments and days to write, why you're irritating everybody with your stubbornness and your inability to let it go, why you're putting all of your energy into editing, rewriting, editing and rewriting, then chucking half of it and rewriting again. And then editing. Why you're obsessing about agents and spending grocery money to buy stamps and make copies of your manuscript, why you're obsessive about writing and getting published. It's because you're just a little bit crazy. The happy moments of publishing are short lived: the day you get the agent of your dreams, the day your book sells, the day you see an actual printed copy of the book. The rest is just slogging and never giving up. Nobody understands this like Richard Loller. I don't know why this is true, it just is. He was my first employer out of college, a book editor, and I was one of the many copywriters who wrote ads and book jackets for him. He was tough (too tough, he now believes, but I don't think so), and he made me into a much better, more thoughtful writer in a very short time. He told me if I wanted to be a writer I'd have to grow a hard shell like a turtle. It's the best advice I ever got. Now battered and worn, my shell has served me well. After the publishing house I went on to get an MFA in fiction. I worked as a freelance writer for a few years, then I moved to Bhutan in the Himalayas. In 2001 in Bhutan I got a message from him. He wanted me to submit something to his wonderful Storyhouse website. I said I would. I didn't. He asked me again. And again. He bothered me until I did it. And then he asked me to submit something else. By then I'd decided I could use this stuff in a book. Any writer who has Richard or someone like him in his life is blessed beyond words. My gratitude to this man and his energy and wisdom is boundless. He's the best friend a writer ever had. I don't know how I got to be so lucky. He absolutely helped made it possible for me to write a book and get it published. He even let me use his name and address on an SASE to get letters from prospective agents, since postage and logistics were a problem in Bhutan. I wrote Kristin shortly after the Katrina disaster. She has written several things for us and I felt as if I knew Kristin and her family. Below are her replys from earliest to latest. Well, we're all safe but unfortunately, we lost everything but the handful of things we grabbed in haste to evacuate. We read reports that our neighborhood was completely flooded like most of the city; water to the rooftops. So, all of my father-in-law's artwork is now lost and irreplaceable. We're lucky to be alive but we're mourning our beloved city which will never completely recover. For now, we're in Austin. Errol is seeking employment just about anywhere. I'll try to keep in touch when I can. Kristin's story of her remarkable father-in-law and his paintings can be read by clicking here. Thanks for informing me that I am a finalist for the 2005 contest. Although we lost everything else in New Orleans, my father-in-law's paintings were cut off the frames and their condition is restorable. It will be a very costly and lengthy process (18 months for four paintings) performed by the conservator of The North Carolina Museum of Art. This has been some consolation for us. It's a sweet thought that people may be interested in knowing what happened to me. It's been a radical change but we're trying to settle down here in Raleigh, NC. I may have you update my bio next month to include our good news: our son should be born on January 6th. That's twelfth night or King's Day, the first official day of carnival in New Orleans. We're going to get him a Mardi Gras king cake instead of a birthday cake. After living in North Carolina for a year and nine months, Kristin Fouquet and her family have moved back home to New Orleans. You may read of her return in Hello Again, My New Orleans. "The update on my news is that Quenda Books has just sent its third book off to the printer. Following on the success of Scoot, Scoot, Bandicoot, I did a second book, The Big Red Bucket which also features the little southern brown bandicoots Bounce and Pounce. Now Book III , Pounce’s Special Friend is about to be launched. It has had good pre-release reports when ‘road tested’ at a local school and was also reviewed well by a local librarian, and I hope will prove to be a good seller. The original book went into its second printing in the early part of this year. I have just about recouped the cost of the first printing of the first book; if I live long enough, I hope to make modest profit from these books!" Just wanted to send you Holiday Greetings and tell you a little of my "writing life" as of today. A short fiction piece,"Dear Santa," is being included in an Anthology,"Holiday Writes," which will be published as an e-book. The authors are to receive a portion of the profits, based on the length of submittal. As mine is only one page, I don't look for a fortune, and since it is paid in Canadian funds we get short-changed in the exchange! The one I'm really excited about is "The Hindenberg" which is to be published in Front Porch Magazine. From what I can learn it is a magazine that is included in newspapers. I submitted under their section "I Was There," as the Hindenberg flew passed my bedroom window in May 1937, about an hour before it was struck by lightning and crashed in Lakehurst, NJ. For this piece I will receive $75. And on top of all this, I'm still trying to finish a memoir based on a five-year diary I kept (and still have) from 1935-1939. I keep telling myself I'd better hurry up and get it done since I'm already putting feelers out for a big 90th birthday celebration!! Anyway, best wishes for a very Merry Christmas. What have I been doing lately? Well, last year two poems were published in a book of rhyming poetry only. This was produced by an MD PhD in Toronto. A copy of the book was sent to various universities in Canada and the equivalent of their Library of Congress. A new book, with another of my poems included, is due out shortly. Then a much shortenend version of the "What If.." story was included in Bylines 2006 Writers Desk Calendar. Next week a 100 word only story about what I would grab first when a hurricane comes (I live in Florida, need I say more!). This and my picture will appear in the St. Petersburg Times along with 9 others. The choice I made is a diary I kept from 1935-1939 as a teenager. What am I doing now? I'm busily writing a book about said diary. I'm only about half way through the first write, and since I'm in my 80's, I keep telling myself to hurry up and get it finished! Hope things are going well with you. I drop in on your web site occasionally and read the delightful stories. It's a nice thing you do for writers. See a list of Mary's stories. Click here. The Air Force Museum quarterly in the "Friends Journal" (in Vol. 29, No. 1 Spring 2006) has published my story of the Schweinfurt Mission also known as "Black Thursday" as their lead story. Click here for Wally's story. I have an ongoing log of my effeors to heal over a diabetic ulcer on my left foot. It's on my web site as Diabetic Foot Care. I was shocked to find that there is more activity on this page than on any other. It accounts for nearly half my hits. Go to the web site and look at it. Click here. I wrote Kristin shortly after the Katrina disaster. She has written several things for us and I felt as if I knew Kristin and her family. Below are her replys. Oh, I forgot to mention Zoe just turned two and has adjusted to all the chaos beautifully. She's great. Life is fine. Those of you who know Kristin's stories may want to write to her. You may click here to do so. Others may want to read her works. Click here for that. My first chapbook of poetry, "In the Light of Day" is now available from Mercutio Press, small printing firm in Montreal, Canada. I hope some people contact them for copies; even though I get no profits from them. Writing is fun for this emerging writer at the young age of 62. Oh yes, almost forgot. Port Town Publishing in Wisconsin is planning to publish my first picture book in December of 2005. It's called, "And French Fries." Click here for a list of Richard's stories. I've spent most of this year entering various kinds of writing contests, mainly for the experience, and also it's good practice to have to write something to conform with their requirements, either subject or word count. In May 2005 two of my poems, "The Ballad of Trapper McGrew," and "The Garden Party," were included in a book of rhyming only poems published in Canada. Out of the 200+ entries, only 50 people were considered. Copies of "New Classic Poems" has now been sent to the Library of Canada (equivalent to the U.S. Library of Congress), the University of Alberta; Edmonton Public Library; University of Toronto; University of Western Ontario; Trinity College School; McMaster University, and the public libraries of Port Perry, Toronto, Oshawa, Clarington, London, and Kirkland Lake, Ontario. One of the contests I entered, which is conducted every month, was to write a story using ONLY 100 words, no more and no less. For July 2005 my story "Heat Wave" was selected. Due out momentarily (it's late because of a new editor) is BYLINES 2006 WRITERS DESK CALENDAR . This consists of 52 weeks, on the right hand side of which is a week to record appointments, etc. and on the left hand side is a short writing-oriented piece, bio, and photo. Yours truly will be in it. We are told the whole book is spiral bound, consisting of 160 pages, with different writing facts about writers etc. interspersed. I am the oldest contributor from 25 states and Canada, Greece, Australia, and Brazil. Mine is a very shortend version of the one I sent you "What If..." These calendars can be ordered at www.bylinescalendar.com. I'm receiving no money for this, but that's okay. Just knowing that I was accepted is "glory enough!!" - Writing is my hobby and love. Also, just recently I was asked to become a regular contributor to an on-line magazine RealTravelAdventures.com. So things are going well with me. At least it's keeping my 80-something brain active, and since I swim 50 laps at least 4 times a week, I figure I may yet achieve my goal of 100! Just today I read on an Internet health newsletter that exercising every day can add as much as 3 years to your life. Whoopee!! 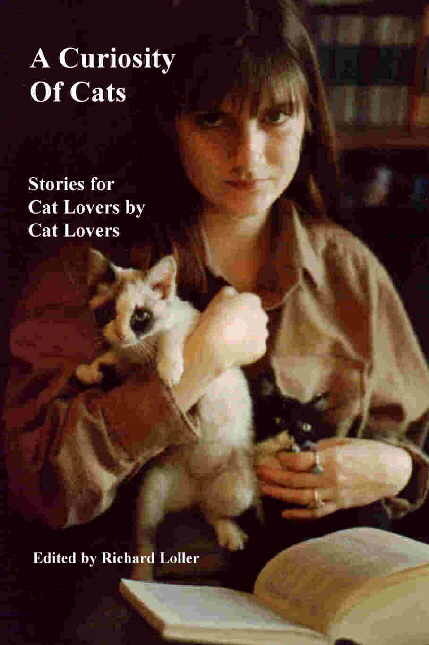 I would like to let you know that I have a story in the Cats and Kittens magazine this month (July 2005 issue). It is called Neena--The Lizard Chaser. Also I would like to tell you that I now have a book out entitled The Adventures of Shasta and Nikki--A True Friendship. It is out now on paperback and not just in e-book form. It is available at Publish America Click here. You can also find it on Amazon.com. For a list of Teresa's stories, click here. My first novel, Ropeless, is now available at www.readropeless.com . Ropeless is simultaneously funny and deeply serious. When Jody Kochansky of Brooklyn is offered a job managing the Ladies' Lingerie department of a Silicon Valley Macy's, she wants it like she's never wanted anything before. That is because Jody does not know how to want. She has spent her life expecting nothing more than to take care of her brother, a man with Down syndrome who has never left the family home, when her mother could no longer do the job. When Jody reaches out, all of their lives expand. Enter a clueless social worker and a passionate poet in a wheelchair. Taken together, they offer a fresh perspective on disability. Instead of the "if-he-just-tries-he-will-walk" movie of the week scenario, the characters of Ropeless learn to accept, to embrace life fully, and so to be happy. The novel has won twelve awards. You can listen to portions and find links to excerpts on the website. This is a special limited edition designed to help convince mainstream publishers that there is a market for a novel like Ropeless. I hope your membership will check it out and help bring the message of this book to a wider audience. Click here for a list of Tracy's stories. The Storyhouse site is getting a lot more hits since I started this speaking at the high schools! I got emails every day this past week from teachers who logged on, or teachers whose kids reported reading something of mine. Awesome. What's really awesome is going into a classroom and seeing fifteen or twenty of my own book laying around. [Three Point Shot...See below--ed.] Wonder if I'll ever get used to it? If Jacey Cameron, my new book, finds a home, it will make a good classroom set for middle schools. Just got an official certificate, nice letter (dated March 28, 2005) and order form for $50 worth of books (the prize) for Three-Point Shot in Writer's Digest's 2004 self-published book contest. It DID place, even with its competition of cutesy-poo little kids' picture books and such like. Lemon Shark Press is pleased to announce the publication of Before the City, a collection of poems and prose poems by Honolulu poet Kirby Wright. I'm also selling it at a local BARNES & NOBLE here in St. Louis. Here's a press release the publisher produced and information on how to contact the publisher which others might like to have. Author Hilary McRee Flanery brings camping with a large family to life in her newly-released novel "Campin' In Chicago." The story is filled with the hilarious events that take place when a family goes camping with eight of their ten children. "Because I need the money...I know, I know, money is 'the root of all evil' but it's the root of ALL wealth too!" said Flanery when asked why she chose to write this book. Hilary McRee Flanery studied Theatre Arts in college at Webster University in St. Louis Missouri, USA. She has been in numerous theatre productions over the last 20 years but her real claims to fame have been "Opening Nights" in leading roles on delivery tables throughout the US Midwest where she has performed and produced ten children. Hilary and her husband, Randy, have been hapily married for 30 years and are certifiably insane. They know this to be a fact since Randy is a Family Clinical Psychologist, Ph.D.
in St. Louis, Missouri, USA. "Campin' In Chicago" is available in PAPERBACK & E-BOOK through a variety of online distributors, including Bowker's Books in Print, Global Books in Print, BookSurge.com, Alibris.com, Barnes & Noble online and Amazon.com. I just signed a contract for Chicken Soup for a Dog Lover's Soul on a story I wrote about my first pet. I'm pretty pleased about that. Here's how it happened. I receive the Writer's World Newsletter. In the Market Roundup section the editors for Chicken Soup For A Dog Lover's Soul called for manuscipts. One of the guidlelines was that the story had to be true and the showcased dog had to teach his owner a lesson, show the way, or provide inspiration to do one's best in life. I had such a dog who inspired me to not give up. Her name was Gretchen. I used to sit for hours and watch her try to protect her bone burial mounds from hordes of pesky squirrels. I figured if she could go through all that, I could learn to read even if I did have a focusing disability. Also, I now offer FREE Christmas Graphics (more than 20 pages of art) for personal use at http://www.wrbenton.shyper.com I am under the pen name W.R. Benton, as are my books. Or, check out my Blog at http://benton.busythumbs.com for information about my writing or other links for busy writers. When someone becomes interested in my writing, I tell them to go to ww.storyhouse.org and read my Road Trip: 1950 story. Gloria writes to say that New Year's In Vienna has been picked up by the e-zine "e-margaux.com" They have also included many of her photos from the trip. Visit and enjoy by clicking here. area was a key target, because of the vicinity of the marshalling yards of Sotteville. And this is probably the last decennial anniversary we will celebrate with survivors (I hope you 'll still be there for the 70th anniversary - remember my own father is 91- but travelling such a long way is not suitable for people in their 90's). We might work in collaboration with the City of Rouen, and the local authorities. The local newpaper should also participate." Wally says: "I was amazed to receive this invitation, and a lot credit goes back to your encouragement and editing you assisted me with. Philippe had read some of my stories and translated a couple of them into French and put them on the French Web Site. The other fellow invited, Tom Maxwell, flew Lancasters in the RAF and we are working on a joint series of stories of flying day and night during WW II over Germany." I have a short story in the recently released "Chicken Soup for the Nature Lover's Soul." Terrible title for a vegan, I know, but my bio does state I'm an animal rights advocate. Arnetta Baugh, Betty Newsom, Ellen Vayo, and Mike Crifasi got a check this week. It came from the trade publisher, Guideposts. Back in November I was approached by Patsy Jay of the permissions department. Their hardback anthology, CATS AND THE LIVES THEY TOUCH, just wouldn't be complete without four stories from our Preservation Foundation paperback book, A CURIOSITY OF CATS. The stories are Alamo Encounter, by Mike, Killer Cat, by Arnetta, Lovey, by Betty, and End Of An Era, by Ellen. In order to facilitate matters, I offered to act as agent for our writers at no cost to them and now, four months later, the book is available for purchase and a check for non-exclusive worldwide license has been sent to each.. I think this answers a question many have asked, "Will the publication of my story on Storyhouse hurt my chances for print publication?" In this case the four stories are still posted on Storyhouse and are still available in our own book. So don't be afraid to get your stories in front of people and let things happen--as they will. I congratulate our honored four. It reflects well on the quality of all our writers and the value of our program. Look for CATS AND THE LIVES THEY TOUCH in your local bookstore or library. Or, if you have trouble finding it in your area you can E-mail Patsy Jay for help.